Staying at Ohboy hotel you probably have all you need. But if you want to look around you will find a lot of possibilities outside. 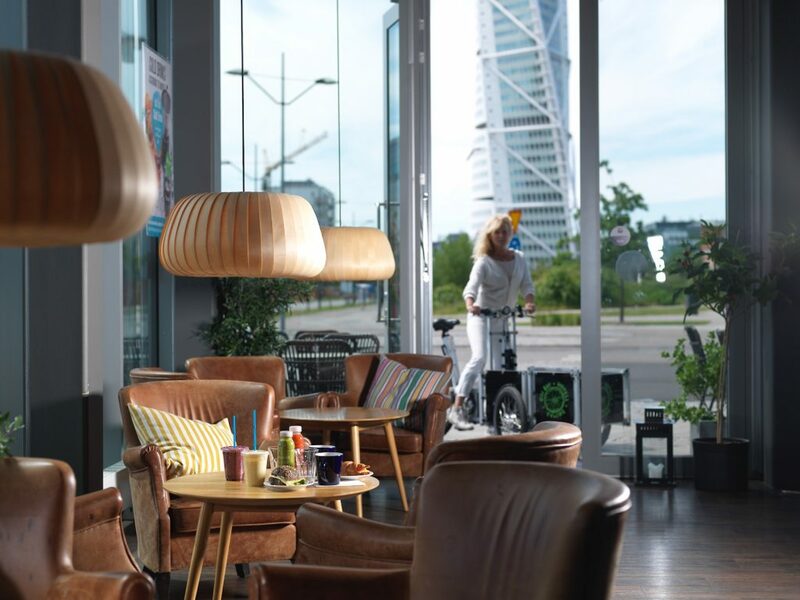 The Western Harbour is close to the city centre and to experience Malmö´s culture, entertainment and shopping you can get there in five minutes by bike or by bus. You will find a lot of suggestions on what to do here. In the closest area there are also a lot of things to do. 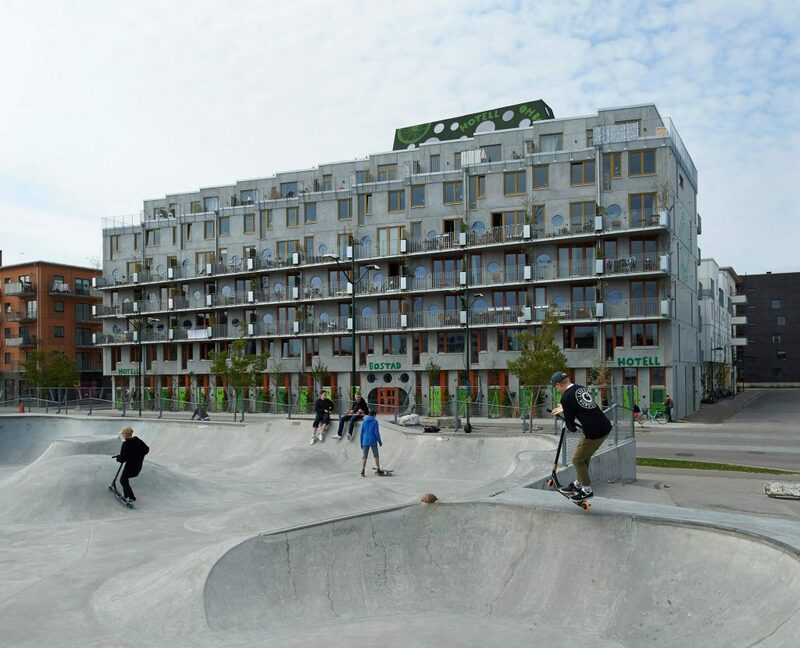 Right across the street you will find Stapelbäddsparken which is the biggest skate park in the north of Europe, along with a boulder park and a rollerderby course. 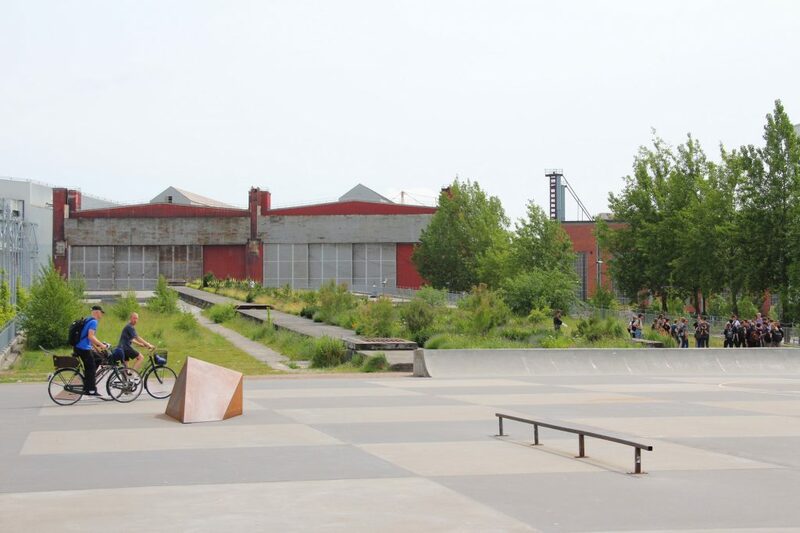 Earlier Stapelbädden was used as a place where ships were built. If you like the sea and the beach you will be happy to find it close by. In the summer you can relax on the long sandy beach of Ribersborgsstranden. Or maybe you prefer deeper waters at Scaniabadet where you can dive from the jetties or sunbathe on the wooden deck. Nearby Scaniabadet you can also find beachvolley courses and “Musikullarna”, hills with built-in speakers playing music. 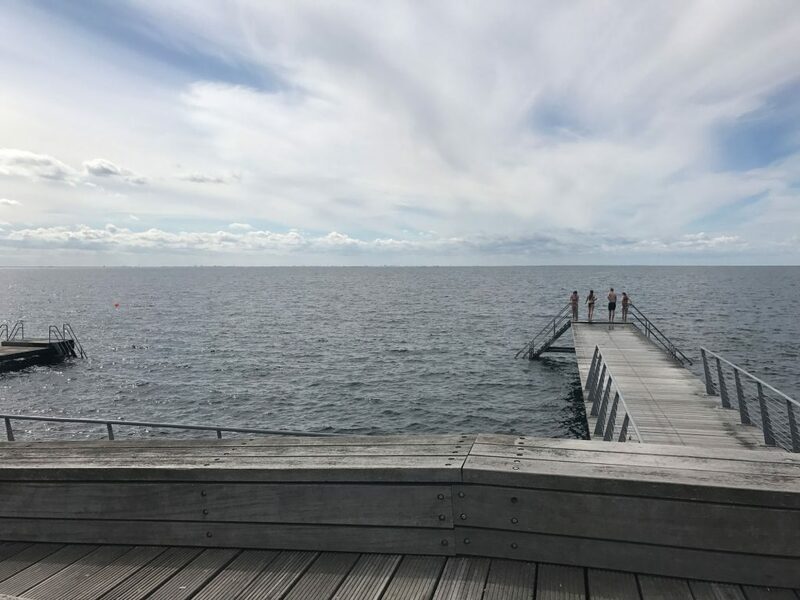 All year round you can enjoy sauna and maybe winter bathing at Kallbadhuset, a beautiful and charming facility from the 19th century. Are you into working out or running? There are a lot of opportunities, both indoors and outdoors. Several gyms and health clubs are located in the area and there is also a jogging trail along the beach Ribersborgsstranden. You can find a 2 km lighted trail at Limhamnsfältet if you want to run in the evening when the sun has set. There are a lot of restaurants and coffee shops in the Western Harbor. If you prefer to cook in your own kitchen there are both big and smaller grocery stores in the area. The recently opened Malmö Saluhall has a selection of locally produced food and several restaurants. If you need regular, day-to-day groceries you can visit Ica Maxi at Masttorget, their opening hours is 7-22. 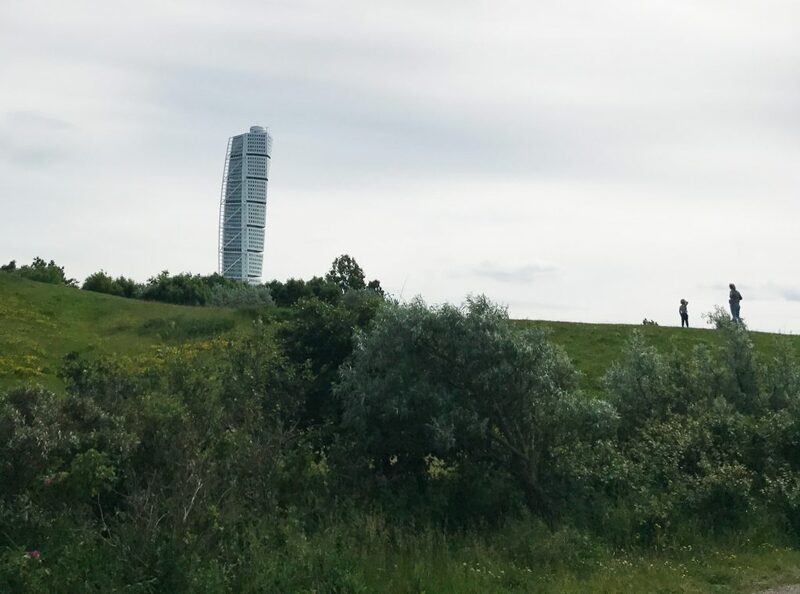 Last but not least we would like to highlight Malmö´s new landmark the Turning Torso that you can see from the hotel. This spectacular building with it’s 190 meters and 54 floors is the highest residential building in Sweden. Groups can book a study tour there and you can also rent the conference facility on the two top floors. Read more about the building and make a virtual study tour here.